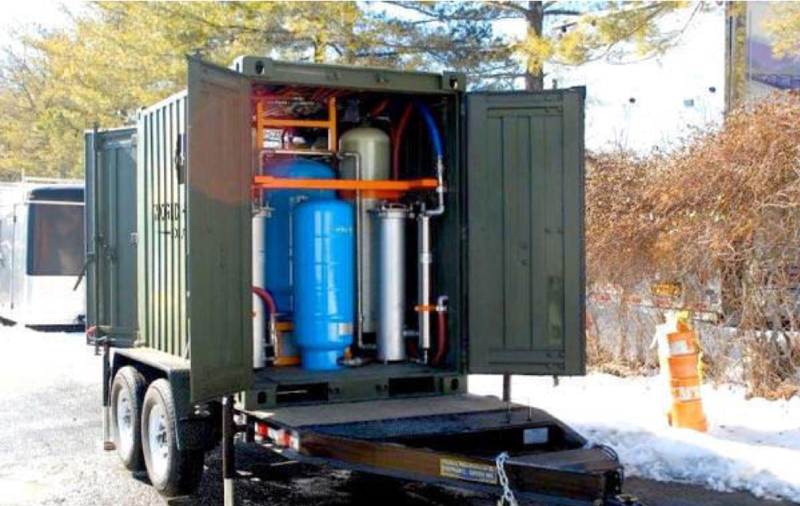 Deployable Potable Water Management Solution Utilizes a 9-Stage Purification Process to Eliminate Impurities. An Easily Transported, Efficiently Powered, and Low-Maintenance System. 9-stage purification process eliminates impurities starting with large sediment removal, removing bacterial and cryptosporidium impurities, and finally eliminating viruses through ultraviolet treatment. Removes industrial pollutants including chromium III and VI, lead, mercury, uranium, and arsenic III and V.
The system adheres to the certification standards of ANSI/NSF-61 8 and ANSI/NSF-53. All hardware and components are EPA- and NSF-approved products that meet or exceed EPA and WHO standards for material producing potable water. Skid design allows for permanent installation on the ground, operation at industrial buildings, or as a general community installation. 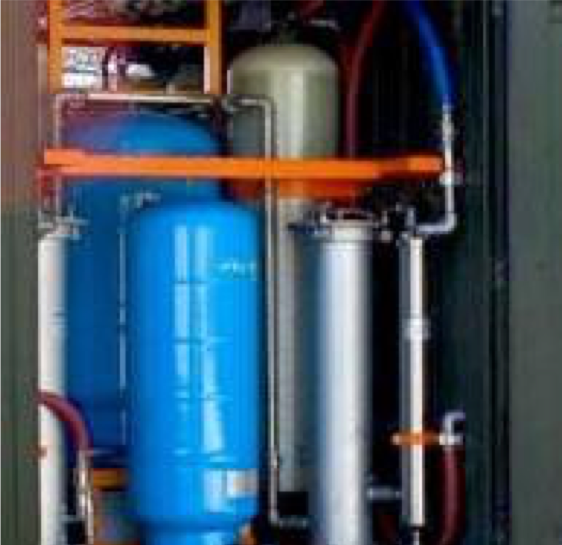 Ease of transportation allows for water filtration system’s operation on large mobile platforms, such as ships or heavy overland vehicles. Transportable via trailer, helicopter, or amphibious vehicle. All tanks, hoses, and filter material are securely fastened to interior of steel shipping container to prevent damage during transportation. Does not consume fuel (unless powered by generator) or create disruptive noise. 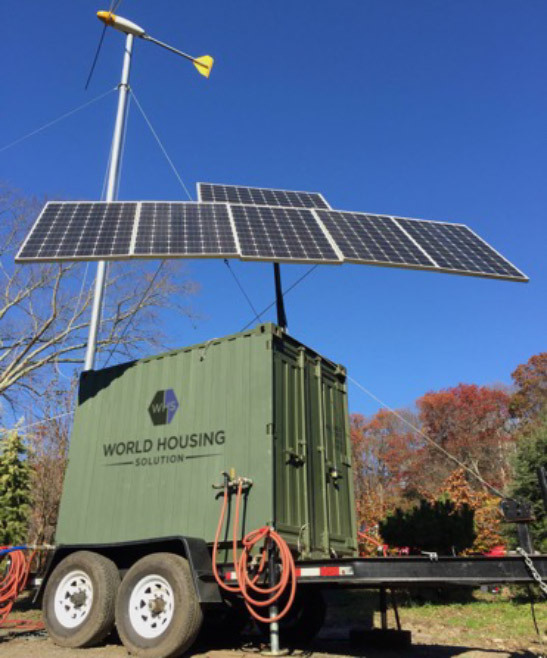 Solar, wind and other off-grid power sources available. Water filtration system does not require frequent and expensive filter changes. 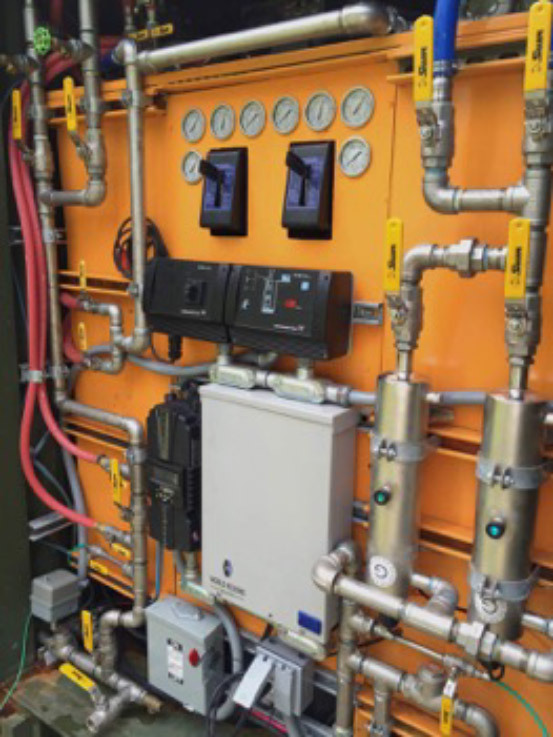 Machine does not inject chemicals into water to create purity, unless optional chlorination is requested. 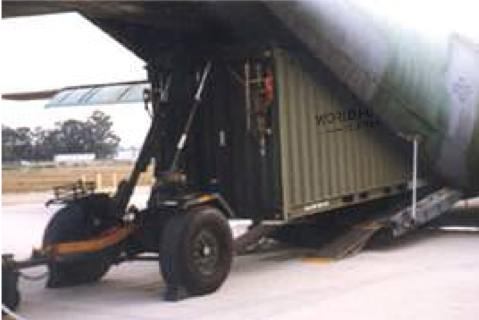 All materials required for operation are pre-assembled and included within corrugated steel shipping container. Shipping container designed to withstand transportation and protect materials.